Persian carpets have long been a coveted luxury in Western homes, adding warmth, color, and cultural and artistic integrity. Have you also considered that Persian carpets can be an extremely rewarding and safe financial investment alone? The main reason why? Because they are now rare. Recently, antique Persian rugs have begun to dramatically increase in value because the traditional way of life in which they are made is under threat. The industrialisation of Iran means that the majority of Persian rugs are now made in factories, making the handmade tradition now a lesser-known and protected craft. If you are able to secure an antique, high quality and aesthetically pleasing Persian carpet then you can almost guarantee that it will continue to appreciate in value as it is enjoyed in your home. Typically, you can expect a carpet that ticks all of the value boxes to increase at a rate of 200% every 10 years not accounting for fluctuations in exchanges rates. What Are The Value Signs To Look For When Investing? Authentic Persian rugs must be made in Iran, formerly known as Persia. A tradition and craft dating back over 2,500 years, rug weaving has been an inseparable part of Iranian culture, passed down from father to son as a closely guarded secret. Each family using unique motifs and methods. There are plenty of machine made rugs in the market today – these will not be investment quality. To ensure that a rug is handmade, pick it up and feel it in your hands. If you bend the rug slightly you should see visible knots and perhaps some imperfections or a natural patina. The design should be as visible on the back at it is on the front and it may be marked by the artist’s signature. The dealer must have an understanding of how many knots per inch are in the rug. This is a way to measure the level of detail that has gone into crafting the rug. The higher the count the more intricate the design and the better the quality. Look for a count of no less than 100 knots per inch for a geometric design and 300 knots per inch for a floral design. A high quality rug will also feel soft, elastic and natural to the touch. The majority of Persian rug dealers will agree that for the rug to class as an antique it will be over 85 years old. A semi-antique rug will be made between the 1930s and 1950s. There is one caveat to the value in age – quality. If you have an antique rug of low quality, it will be less valuable than one that it is newer and in better condition. A valuable design will be a work of art that leaves you captivated and filled with awe and appreciation. Look for a harmonious palette and pleasing patterns and motifs. It should not be overbearing but more subtle and imaginative. Your dealer will be able to give you an idea of the history of the motifs used – value can come from both rare and collectible patterns. Where And How Can I Buy An Investment-level Rug? Investment-level Persian rugs can be purchased from auction houses, online, and in person through specialist dealers. To ensure accurate advice and solid investment, we recommend seeking out a reputable dealer with a long history in this market. From its beginnings in Iran, Catalina Rug has been in the rug business for three generations. 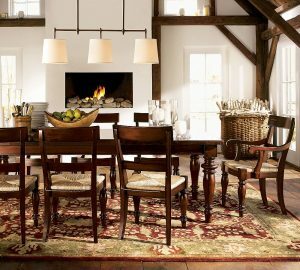 Together we have over 52 years of experience sourcing and dealing in only the finest investment quality rugs to adorn our customers’ homes.